Compagnia della Musica in Rome was born thanks to a group of friends with the passion for the orchestral music and today it is a supporting member of the Santa Cecilia National Academy Orchestra, of the Orchestra Mozart Bologna, of the Orquestra Sinfonica Juvenil Simon Bolivar and in October 2007 was involved in the Venice Biennial Music Festival. Mario Crispi was born in Palermo, he started his artistic and music activity in 1979 with the group “Agricantus” (today disjointed) and together they produced many tours in Europe and in the world and several record works. He was a composer, a soloist and an expert in archaic wind instruments, so that he could produce various CDs and soundtracks of films and documentaries. Mario Crispi devoted most of his time to study the tones and the archaic wind instruments, travelling in Iran, Pakistan, Egypt, Tunisia, Africa, Syria and meeting some musicians from all over the world. 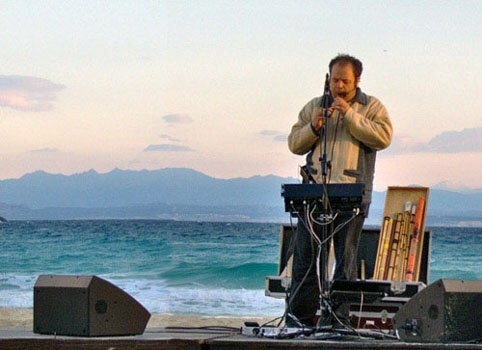 Soffi is Mario Crispi’s solo concert based on the union of past and modern music technologies that are the wind instruments and the use of computer to filter, elaborate and register the sounds real time produced by the flutes. His technological-electronic research, started in 1994, followed the technical evolution through the use of magnetic tapes, samplers and signal processors to arrive, today, at the single laptop. During the concert it is used the Armenian duduk, the Egyptian arghoul, the Arab and Persian ney, the harmonic flutes, the Indian bansuri in a technological mixture which creates far and near imaginary landscapes. The concert is accompanied by Cinzia Garofalo’s real time video processings. 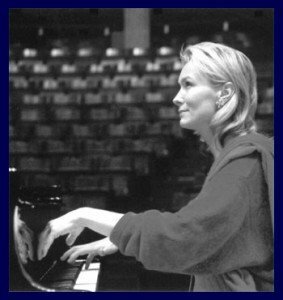 Réssonance-Italia is a non-profit Association founded in 2007 and is part of the Résonnance Foundation created by Elizabeth Sombart more than 15 years ago in Switzerland. In 2008 it obtained the support of the Fondazione Roma to realize more than fifty concerts in Rome and its province every year. Its mission is in fact “to bring music wherever it doesn’t arrive”, with a particular attention on suffering and un-comfortable situations. For this reason, the Foundation organizes piano concerts in nursing homes, rest homes, hospitals, specialist centres or institutes for health, prisons, etc. Music is not regarded as an afternoon pastime, but as a fundamental existential dimension, which becomes even more necessary in conditions of privation. For these aims, all Résonnance branches (in Switzerland, Lebanon, France and Belgium) organize free piano lessons for everybody, from the children to the elderly. Smoking Productions is a music production company with offices in Milan, in the historic Galleria del Corso. It has given great success to many Italian singer-songwriters, such as Biagio Antonacci, Gianluca Grignani, Fabrizio Moro and Annalisa Minetti, the winner of the Sanremo Festival in 1998. Smoking Production is present in the main jazz and world music festivals, both in Italy and abroad. Milanese by adoption, Massimo Luca was born in Santa Margherita Ligure in 1950. Since his youth, he has been fascinated by pop music, jazz and author’s songs, and is now a producer, composer of big successes as well as an acoustic guitarist who is loved also abroad. He started to compose for big performers very early, and accompanied numerous well-known singer-songwriters on his “legendary” guitar (a ’67 Martin). 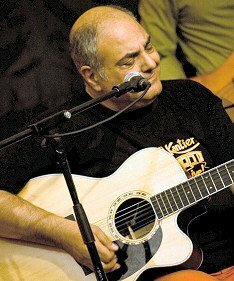 He recorded 4 albums with Lucio Battisti and collaborated with Mina, Paolo Conte, Giorgio Conte, Angelo Branduardi, Edoardo Bennato, Francesco Guccini, Fabrizio De Andrè, Fabio Concato, Adriano Celentano, Loredana Bertè, Roberto Vecchioni, Bruno Lauzi and many others. He is in fact considered the “acoustic guitar” of almost all singer-songwriters, not only Italian ones. Up around the bend implies an unknown destination until it is reached. It is a journey within the Italian music, as in the pages of a book told through time, notes and rythm. During this “journey”, Massimo Luca interacts with the public telling anecdotes and stories, amusing them with the subtle irony of the great chansonniers.